‘Sister Wives’ family, fearing arrests for polygamy, signed paperwork stating who would care for their children. Other Utah polygamists sign such forms, too, and so can you. Scott Sommerdorf | The Salt Lake Tribune Polygamist Kody Brown listens to his wife Christine speak to polygamists and their supporters at a rally on the south steps of the Capitol, Friday, Feb. 10, 2017. The latest episode of “Sister Wives” showed how the Brown family returned to Utah in 2017 to march against a bill aimed at enhancing the penalties for polygamy. But before leaving their adopted home near Las Vegas, Kody and wives Janelle, Meri and Christine Brown visited their attorney and signed some paperwork. The documents designated who has authority to care for their minor children, should the parents be arrested. The practice is not that unusual — at least not for polygamists. Fearing arrest, some Utah polygamists sign and keep updated what is termed “Power of Attorney Over Protected Person or Minor Child.” At least one attorney who frequently represents Utah polygamists, Laura Fuller, even keeps a standardized form at the ready. Ever since IRS agents in 2016 searched offices in South Salt Lake housing companies affiliated with the Davis County Cooperative Society, also known as the Kingston Group, Fuller has been recommending to her clients that they sign and have ready such designee forms for their children. The power of attorney can’t be executed until there is a designated “triggering event,” Fuller said. The form, or documents like it, corresponds to a Utah law found under the state’s probate code. The statute says a parent or guardian may delegate another person power of attorney for the purposes of caring for his or her minor children. The law can also be used to designate a caretaker for an incapacitated adult. The law specifies such designations can last no more than six months. But the parent can sign the paperwork again to extend the power of attorney another six months. Any parent or guardian can utilize the statute, though polygamists are likely the largest group to do so. In Sunday’s “Sister Wives” episode, the Browns implied they had signed such paperwork when they lived in Utah. Nevada has a similar statute. 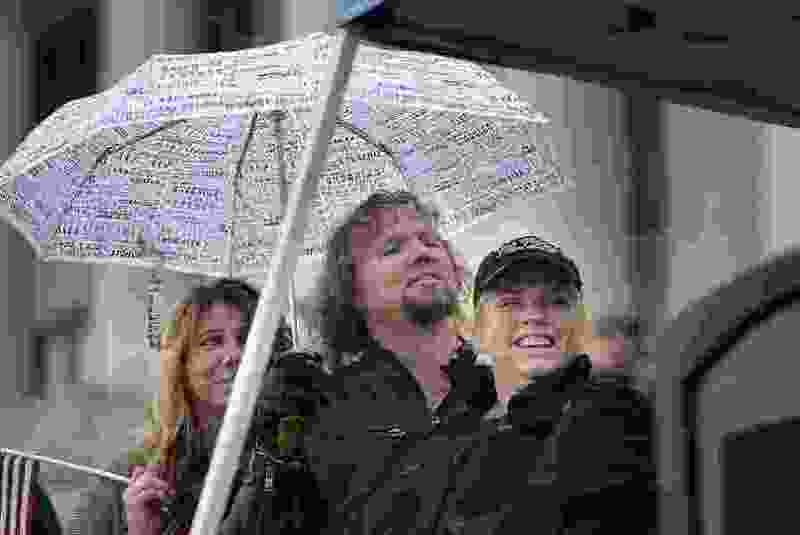 Before Kody, Janelle, Meri and Christine Brown marched in Salt Lake City, they signed Nevada paperwork naming Kody’s fourth wife, Robyn, their designee, should they be arrested. She remained in Nevada and did not participate in the 2017 protest. The other Brown spouses were protesting HB99, which amended the definition of bigamy in Utah and enhanced the penalties in some cases. The Utah Legislature, over protests from the Browns and other polygamists, passed the bill and Gov. Gary Herbert signed it. No one was arrested during the protest march, nor has anyone been arrested in connection with the 2016 search warrant executed on the Kingston Group’s South Salt Lake offices.